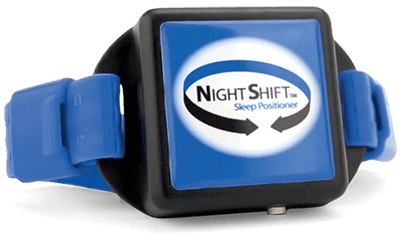 Night Shift comes with a 30-day guarantee that it will keep you off your back during sleep. If your Night Shift report shows that you are non-responsive to vibro-tactile positional feedback, you can receive a refund of the purchase price, minus the shipping charges. The item must be returned in original box with all accessories within 30 days of your receipt. © 2014 ADVANCED BRAIN MONITORING, INC. All Rights Reserved.